Love this LESY Girls White Red & Green Floral Print Lace Dress. Part of the Lesy Waterlilies Garden Collection for Spring Summer 2018, this white special occasion dress by Lesy has a lace top and silky floral skirt. It has layers of tulle and satin on the lining for volume and an attractive curved hem. 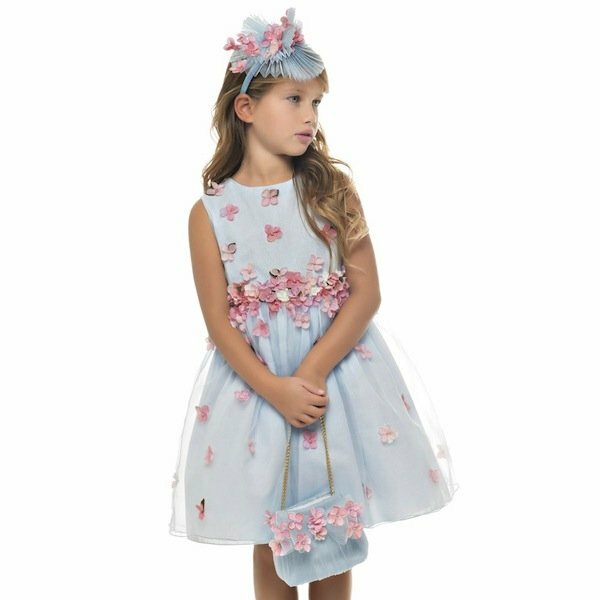 This gorgeous special occasion dress is the perfect choice for your little princess this Spring Summer season.